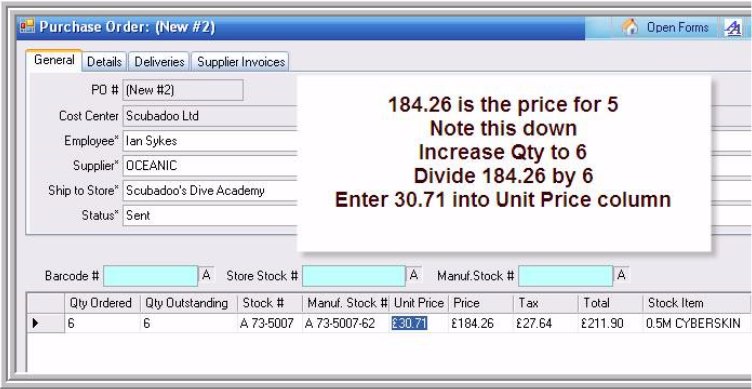 For special one off pricing or bulk discounts change the unit price in the PO. When those goods come in then EVE will track their cost as per the price on the PO and the PO delivery. In the example below, you’ll see a special price of £33 for the Cyberskin suit from Oceanic – usual £36.85 – for an order of 6 suits. Whether you use LIFO or FIFO – I’d suggest FIFO for almost all cases – will determine the COGS on any sales.